I purchased the Chronicles set some time ago for my imaginative children who have a penchant for stories like Harry Potter and Percy Jackson. Most likely I was smitten by the first beautiful production of the The Lion, The Witch and the Wardrobe when a Scholastics book order came around. And, by jove, guess who of the Kramer clan has solely found herself in the land of Centaurs, badgers and telmarines? No, I haven’t convinced my children of the lovely, rich, and overall goodness of these adventurous tales whose allegories would please any English major on a rainy day. I’m completely delighted to study Mr. C.S. Lewis and his ability to spin a story, seeming at times to face the camera with a clarification, yet without one ounce of pedantification. He's like the charming grandfather I never knew. Back to encouraging my kids to read this most awesome series. (Currently on Book 4- Prince Caspian.) They loved the movies, so I was perplexed by their hesitation on picking up the books. Alex, the elder, was already in the midst of another series. Cole, the younger, on the other hand, was more interested, but tentative. Then I learned that he had tried. And he read the first few pages several times...attempting to understand. Sigh. So, the next time I picked up where I was reading, I considered it from my son's perspective. 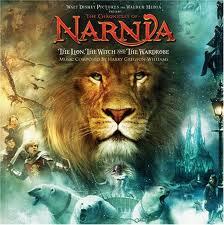 "In the name of Aslan, I wonder you have never asked me before?" Hmm. A slight twist in the dialect probably made this book a bit ardous for Cole. More than I had anticipated. But good for him for trying. So, I'll journey to Narnia alone for now. And await for my children to join me. I'll be patient. I believe they have some wizards to watch.